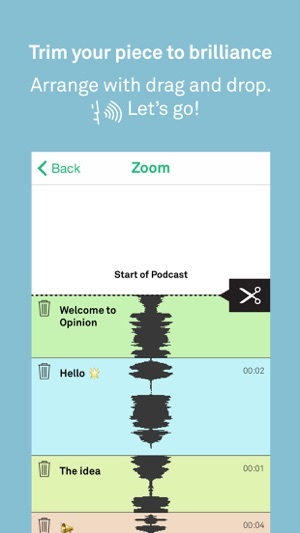 The world's only easy to use podcast maker. 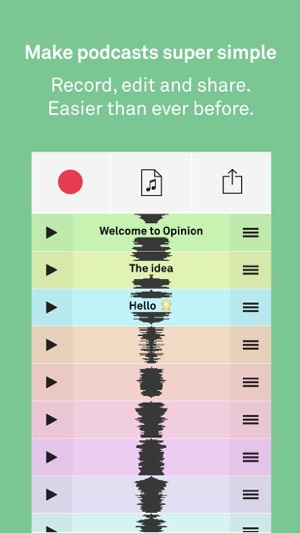 Record, edit and publish to SoundCloud, Dropbox, Google Drive, e-mail, iMessage and more. Import audio from your local iTunes music library, or Dropbox, iCloud, Google Drive and others. Give it a try! Spoken storytelling has never been this instant before. 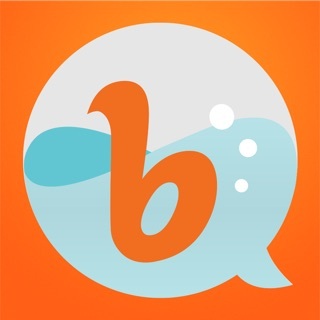 I have been using this app since August to record podcast sessions. I have been trying for the last 2 weeks to edit a recording as I was able to do successfully in the past and it keeps crashing instead whenever I attempt to cut the files. The editing tool was super easy and effective up until recently. I’m currently searching for another simple editing tool as I’m at a complete standstill with my podcast content because of this. Hope to hear from someone to understand what is going on! It was working perfectly up until my latest recording. Trouble Uploading - don't spend the money! Most of the reviews seemed positive but don't be fooled! This app seems to work well at first but the minute you try to do anything creative it fails. I tried to upload a simple sound clip and it kept failing. I can't even use the app to record what I want to anymore, and the developers have been unresponsive to my attempts to reach out. Don't waste your money.